What Drill Bit Should Be Used With a Metal Window Frame? There are several types of drill bits that can be used on metal. These bits range in price, longevity, and material. The longevity of a bit will depend on what material it is constructed of. Carbide-tipped, high-speed carbon steel bits, and cobalt bits are most commonly used with metal window frames. Choose a specialized bit depending on how much drilling you will need to do. Tungsten carbide drill bits can be used to drill holes in almost any material because of their hardness factor and the way that they are molded. These bits are more expensive than most, but they will outlive the other types when used correctly. 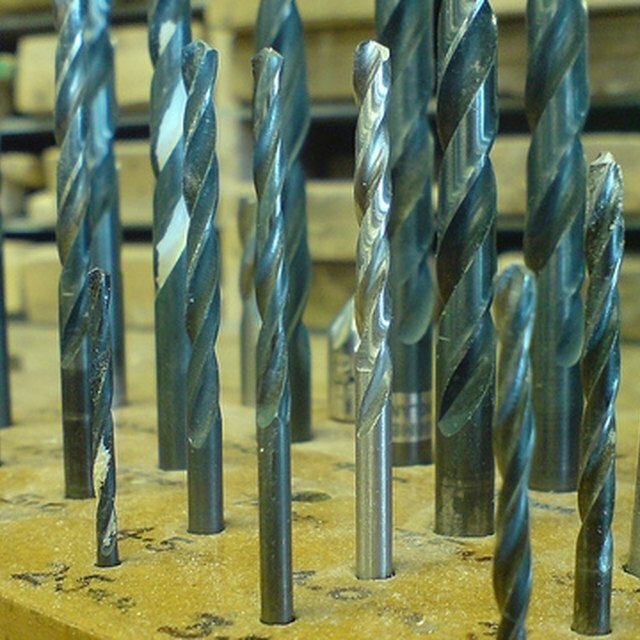 High-carbon steel bits can be used to drill into metal as well as wood. These bits are best for shorter projects, as they are highly susceptible to overheating. Overheating will cause the steel material of the drill to soften, causing the sharp outer edges of the bit to dull, making it useless. These bits are inexpensive and tend to have a shorter lifespan compared to higher-grade bits. Avoid using low-carbon steel bits to drill through metal as they are recommended for wood-based projects only. Cobalt bits are made of, as the name implies, cobalt, and are more hardy and heat-resistant than the less expensive bits. Quality-wise, cobalt drill bits are a step above the high-carbon version, but a step down from the tungsten carbide drill bits. These bits are able to drill through soft materials such as wood and very hard materials such as stainless steel.